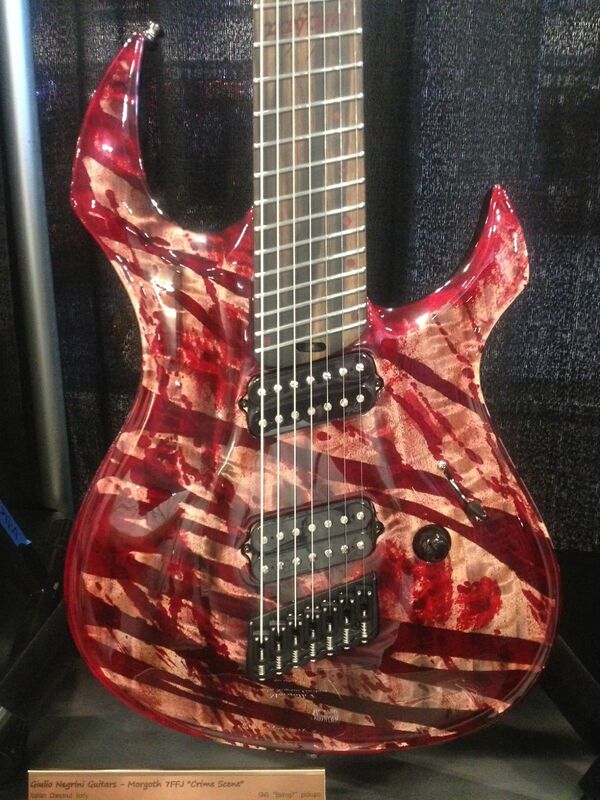 Red Dragon Guitars is proud to be an authorized dealer for GNG Guitars! Before we partner with a company, our team of experts conduct a rigorous inspection of their products. This includes an examination of the quality control, attention to detail, and overall playability. 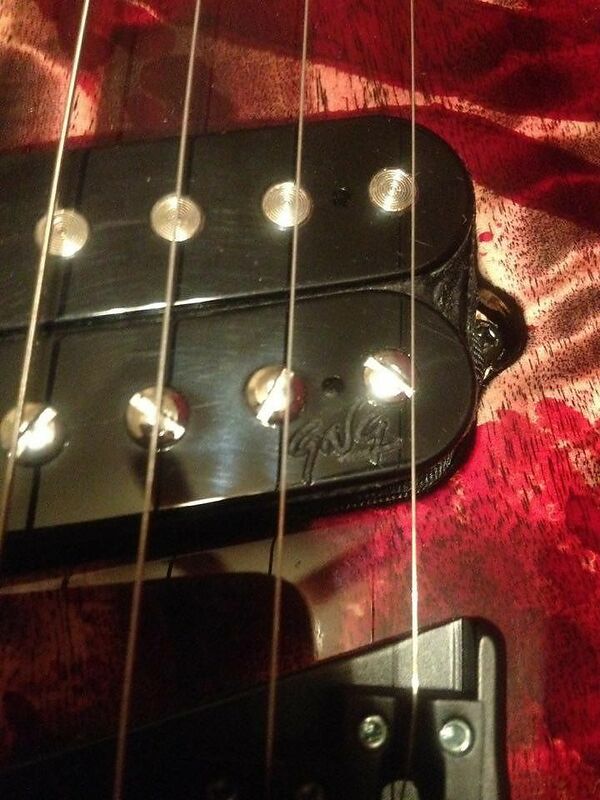 GNG Guitars excels in all categories, offering some of the best guitars we've had our hands on! 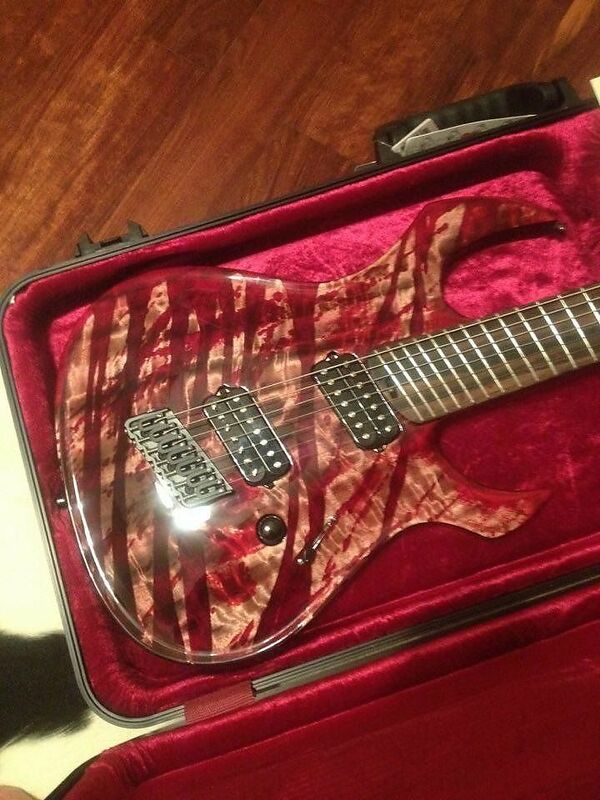 Available now is this incredible GNG Negrini Morgoth multi-scale 7 string guitar. This amazing guitar was built by Giulio Negrini of Italy, currently residing and building in Switzerland. 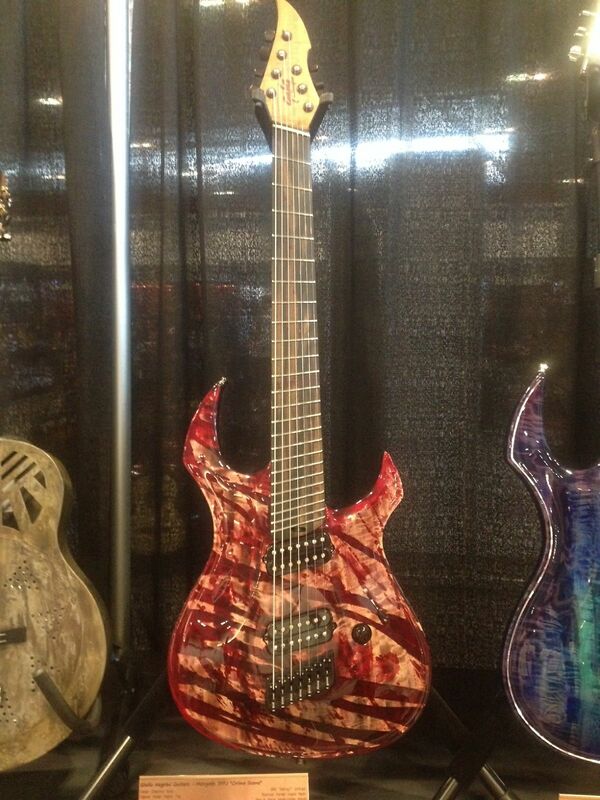 This is a 2017 Summer Namm guitar that was commissioned by Red Dragon Guitars. 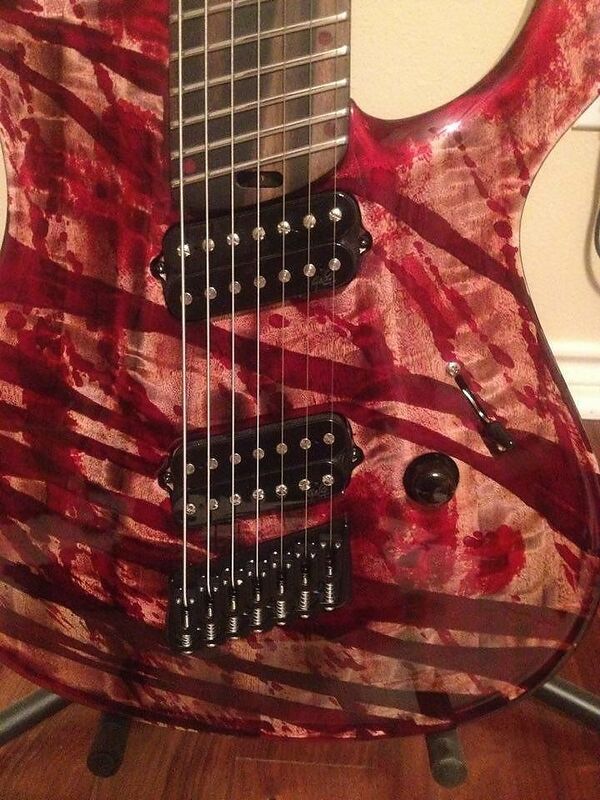 This is a serious players guitar with tons of attention to detail. 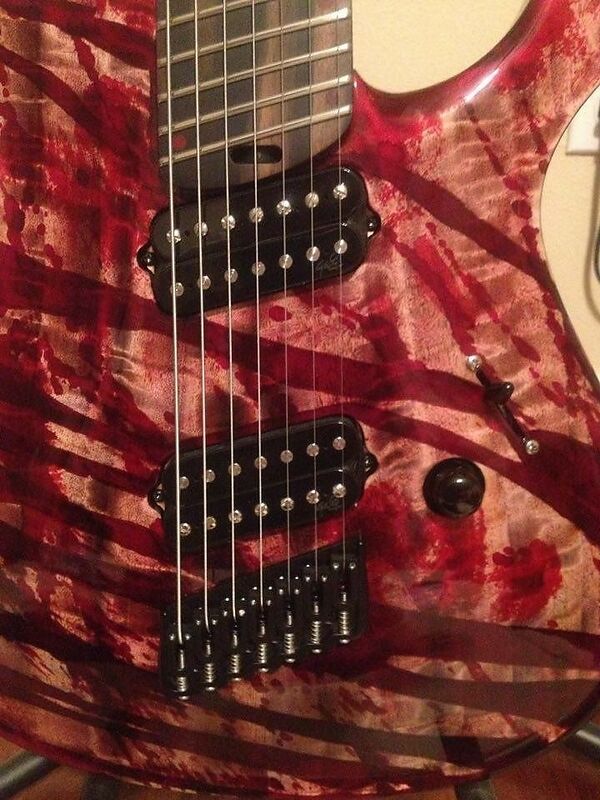 It is a shredders delight and has monstrous tone! 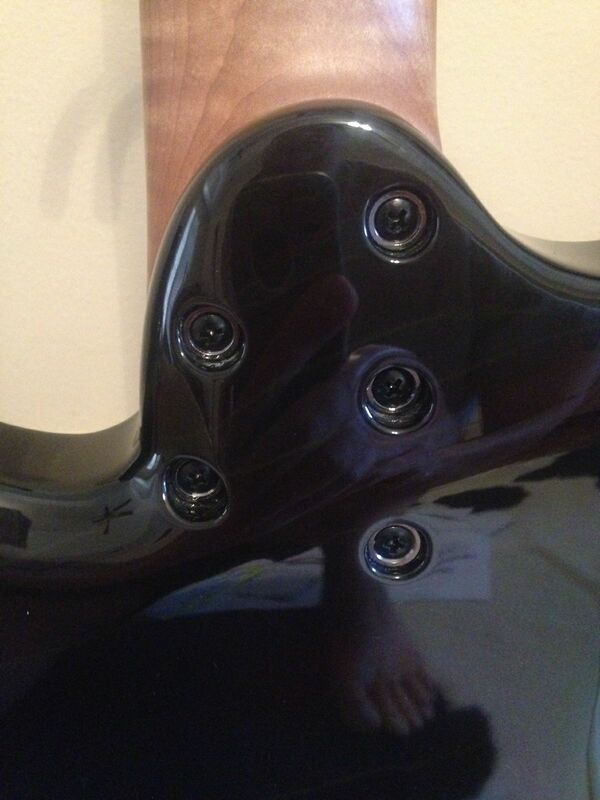 The fretwork is perfect and the neck is thin and comfortable. The wait time on a build from Giulio is now two years minimum. If you are looking then you probably already know about Negrini guitars, if not do a little research on this master Luthier. 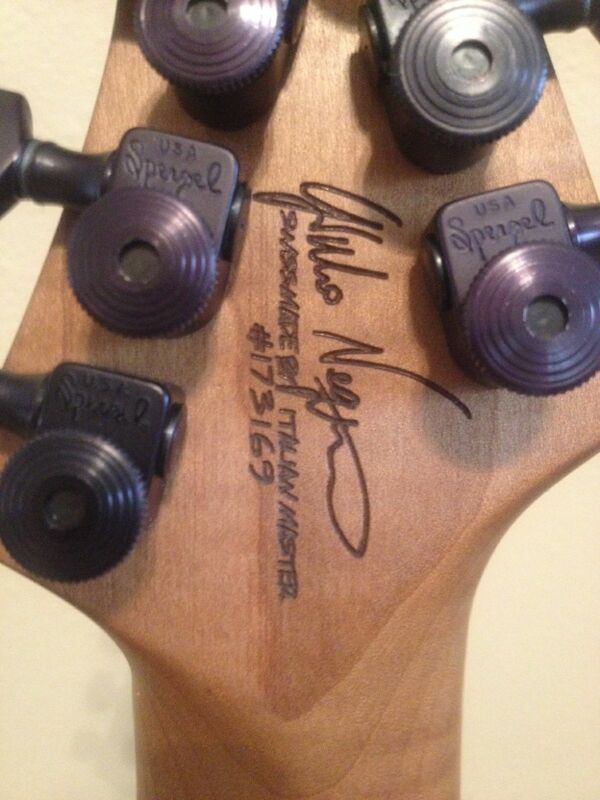 Giulio not only builds some of the worlds most sought guitars, he is also an accomplished player. This gives him a firm understanding of what constitutes a great sounding and playing instrument. 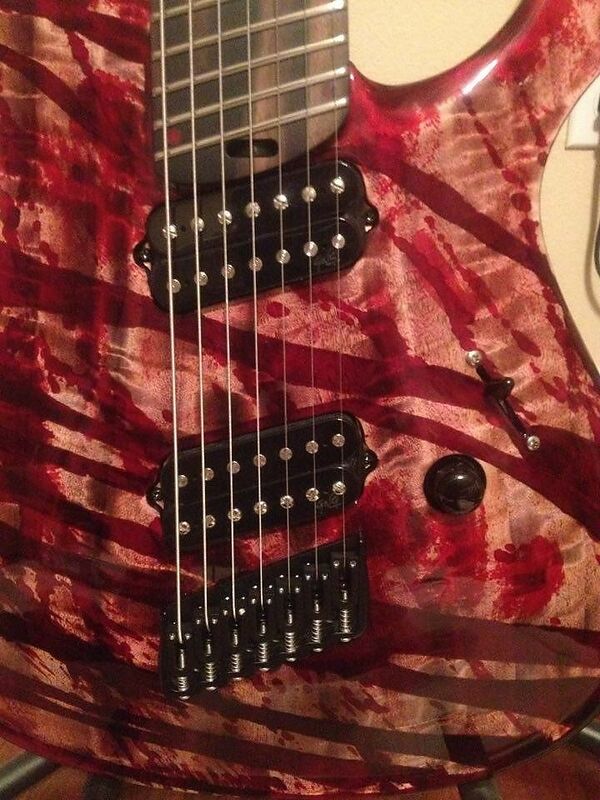 This fine one of a kind guitar comes with some excellent tone woods. The body is Italian Chestnut with the themed "Crime Scene" high gloss finish. 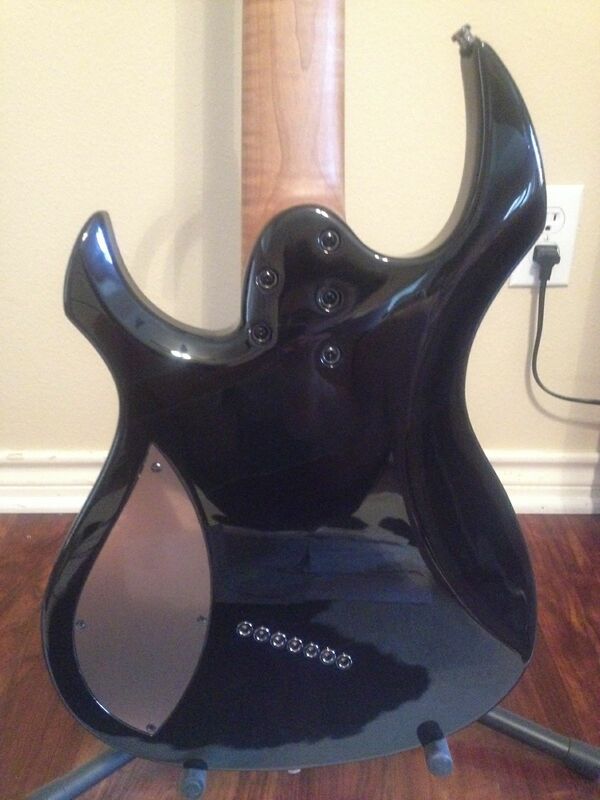 The neck is of roasted Flamed Maple with a beautiful striped Ebony fret board complete with a 25.5"- 27" scale. 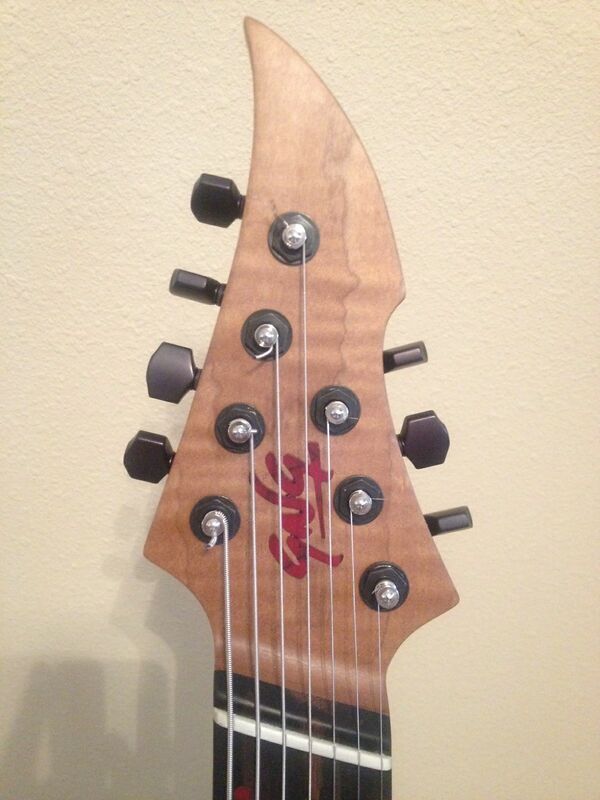 This rare master built instrument comes with long wearing jumbo stainless steel frets. 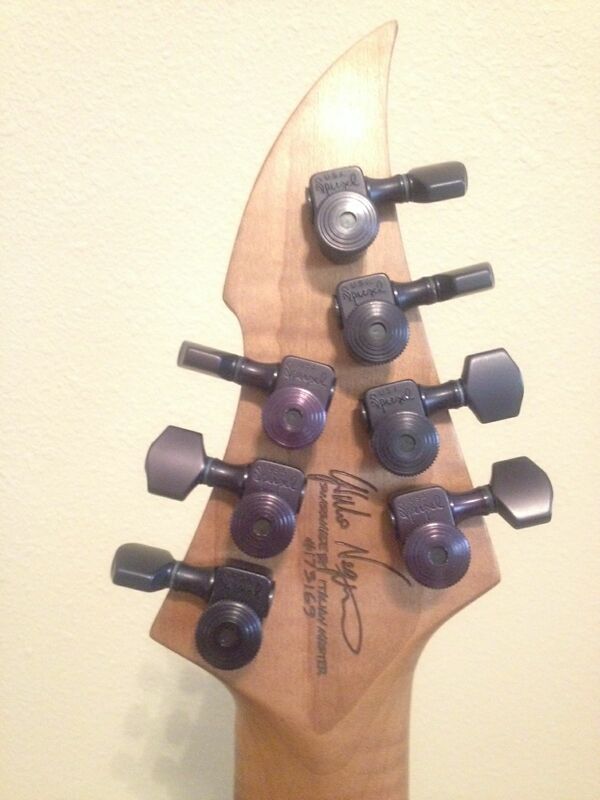 It has Black Sperzel locking tuners and a Hipshot bridge, it is loaded with great sounding GNG Balrog pick-up's. If you're a collector looking for a rare new addition to the stable this could be it! 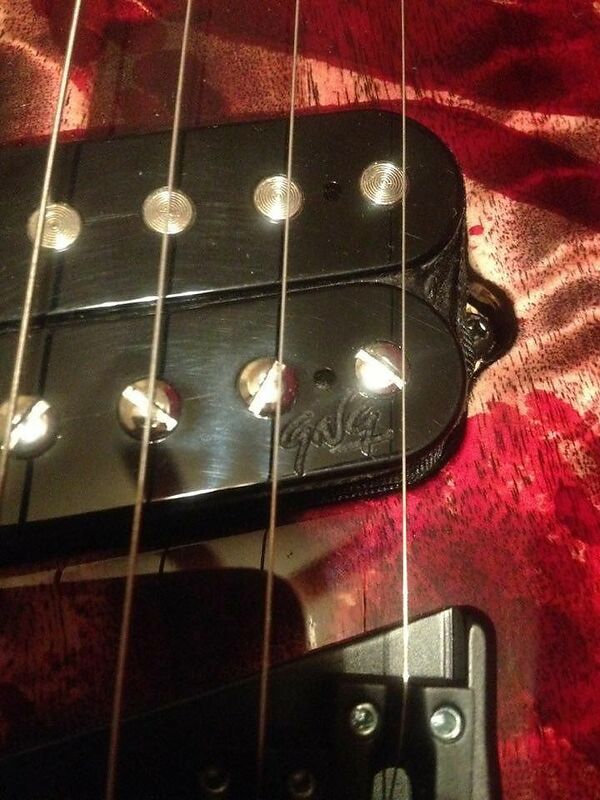 If you are a player looking for a solid, hand-built tool that will last forever this guitar is for you. Immediate payment required on Buy It Now, free shipping in the lower 48. 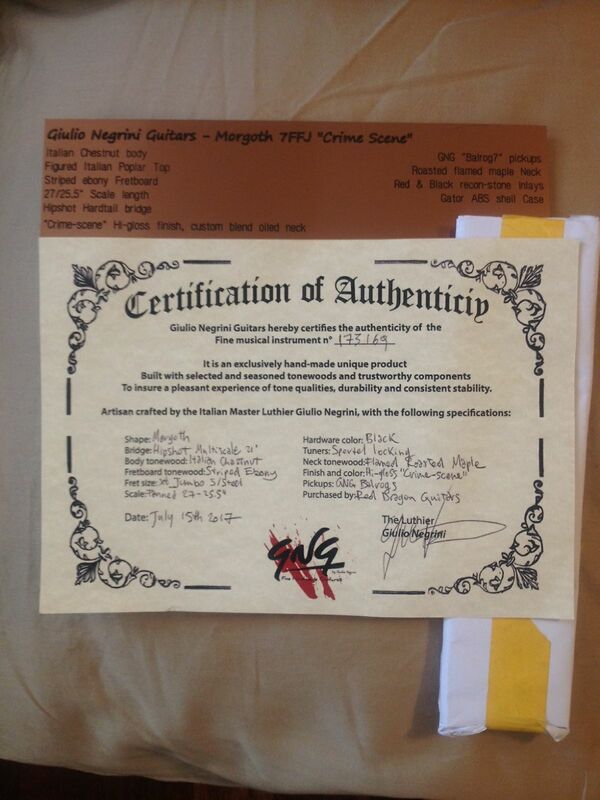 Red Dragon Guitars is proud to be the authorized GNG Negrini dealer in the USA. Based on purchase price of $6,499 at 10% APR for 12 months. Excludes tax and shipping fees, to be calculated at checkout. Rates range from 10-30% APR. Choose from 3, 6, or 12 monthly payments. Select Affirm at checkout to get started.